Come and experience the world of Doka at first hand, and see our all-embracing product and service portfolio for yourself. 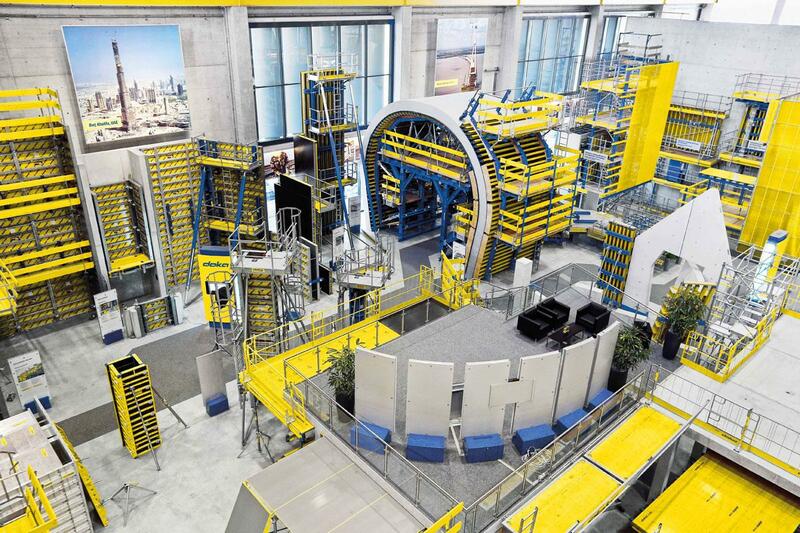 The Doka Forum has 2500 m² of exhibition space on which we can show you Doka's entire spectrum of products and services. We'd also be pleased to give you live demonstrations of how various systems such as automatic climbing formwork or tunnel formwork travellers work in practice. If you'd like more information on any of the formwork systems, you can call it up on a digital display next to each exhibit.